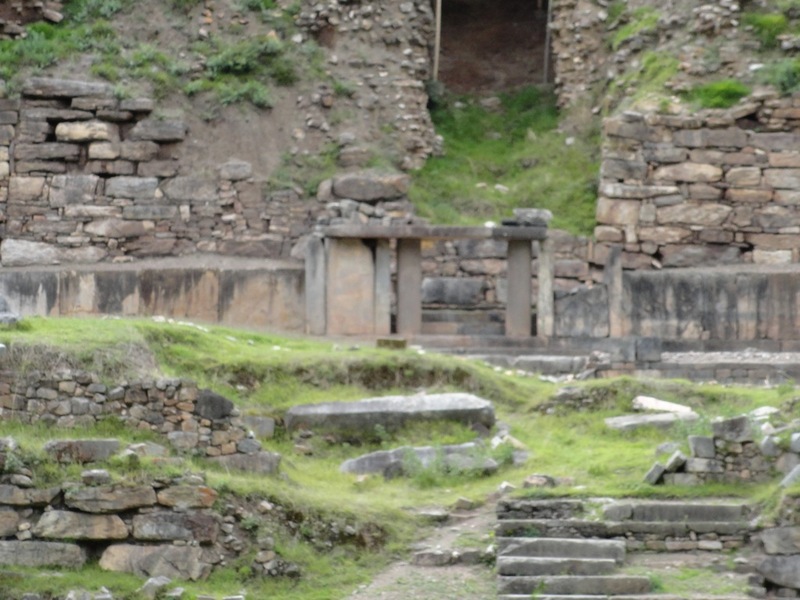 Pilgrimage to a Chavín Temple in the Peruvian Andes – Where is Shyamni? If you thought the Inca Empire and Machu Picchu was ancient, then let me tell you about the Chavín people, a civilization that existed between 900 – 200 BC. The Chavín people for their times had superior knowledge in complex building construction which is evident from their discreet underground drainage systems and use of acoustics in their temples to carry out sounds to a large congregated mass. They also had a good understanding of metals especially molten gold used in their art forms. 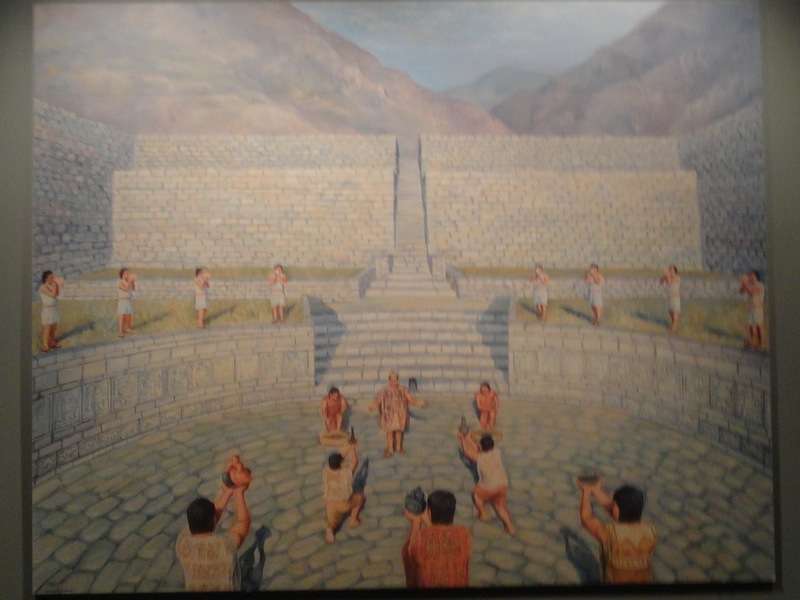 Many later empires were influenced by the Chavín culture. Like most pre-colombian empires, the Chavín culture was also highly centered around their religion and worship practices. The capital and religious center of this empire was located high up in the Peruvian Andes in the Ancash region, at above 3000ft east of the Cordillera Blanca range. This large religious center is today known as Chavín de Huantar and listed under the UNESCO’s World Heritage Sites. Geographically it is located high in the mountains, between a valley where two large rivers meet. Even to get there today is a bit strenuous. 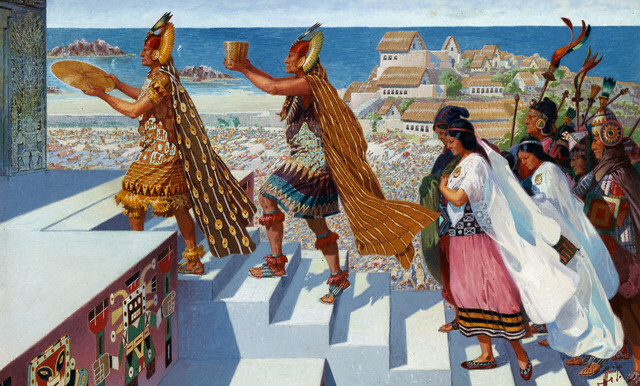 Perhaps the location was chosen for this very reason; to make it difficult to find and the only people who knew exact the location were the Chavín themselves via the waterways. Peru has the best buses in the world! Huaraz to Lima overnight journey costs about 50 sols. 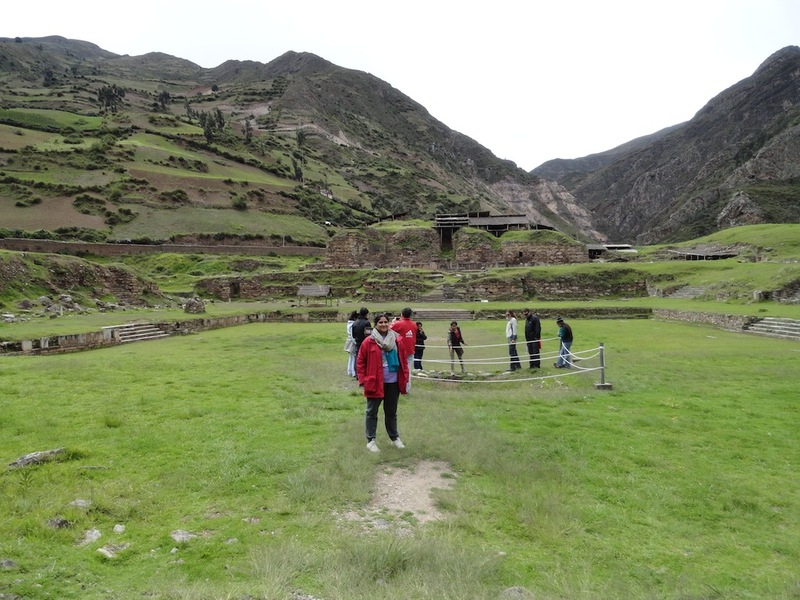 To visit to Chavín de Huantar, it is easily accessible from Huaraz. 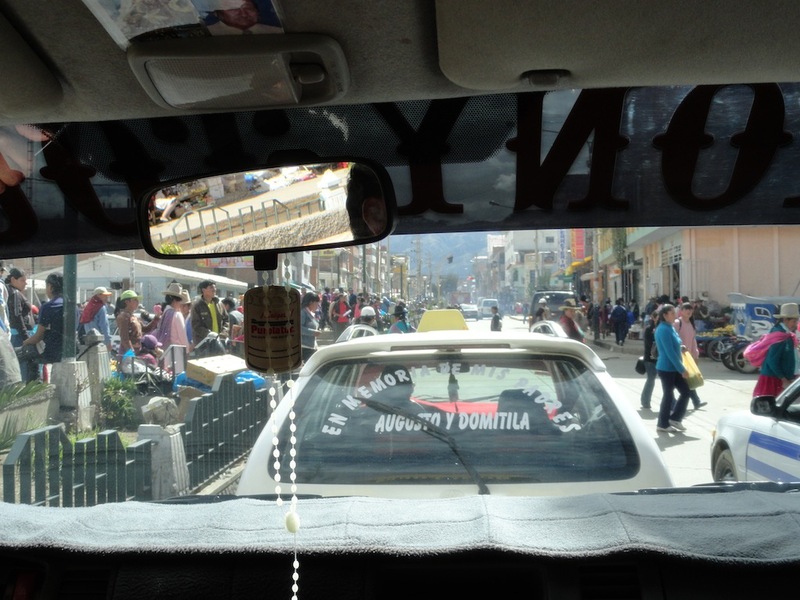 Huaraz is a large town in the Cordillera Blana mountain ranges, about 8 hours by bus from Lima. 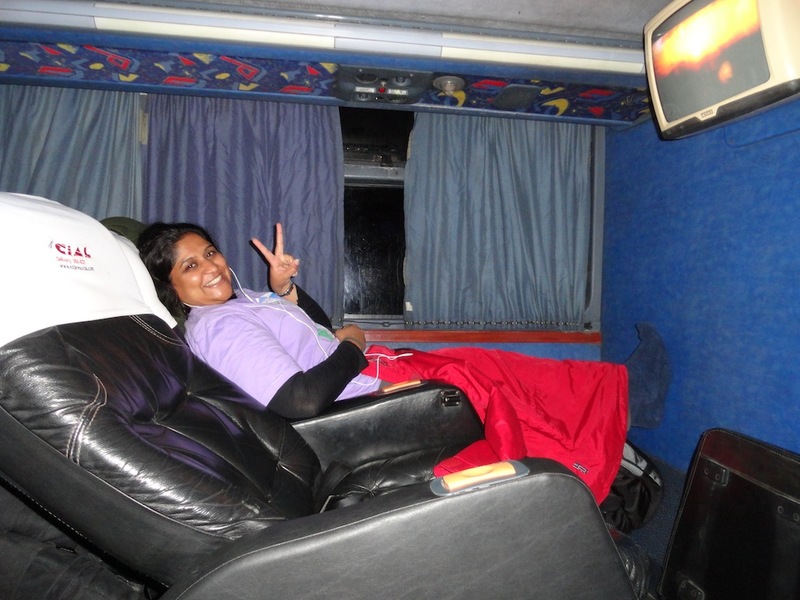 Peru has the best buses in the world with almost 180 degree reclining seats! The temple site is approx. another 4 hours away from Huaraz and there are daily bus services that run from the town center and many pick you up from your hostel as well. Town of Huaraz, Ancash region. 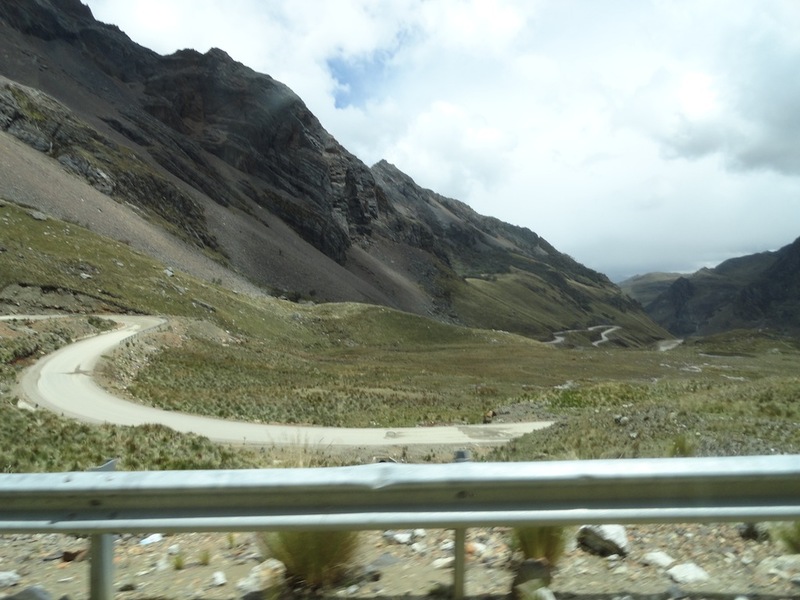 Both Huaraz and Chavín de Huantar are at around 3000ft which is not too bad for Altitude Sickness but the roads between Huaraz and the temple site are rise significantly higher than that. So be prepared! Winding roads through the mountains to the temple site. The main building was a flat-top pyramid like structure with underground tunnels leading to the statue of the one the important Chavín Gods; Lanzón. There are advance drainage systems running throughout the site keeping water away from the temple buildings. Another important structure is the open-air, Circular Plaza which was used for sacrifices. The site was completely buried under erosion and years of landslides until recently hence archeological exacavations are still under way. The Main Plaza with old Temple behind – remains of the site today. Archeological excavations are still happening. Entrance to the old Temple. A flat-top pyramid structure. The Circular Plaza for open-air sacrifice rituals. Advanced drainage systems drawing water underground from the temple sites and preventing the tunnels from being flooded in the rainy seasons. The rituals and ceremonies were carried out by the high priests or shamans and not everyone had access to the inside of the pyramid. The old temple had buit-in channels that carried out the prayer sounds outside to the main plaza – their understanding of sound and acoustic workings is remarkable. It is believed that to maintain political power, the shamans had the masses influenced by manipulation. 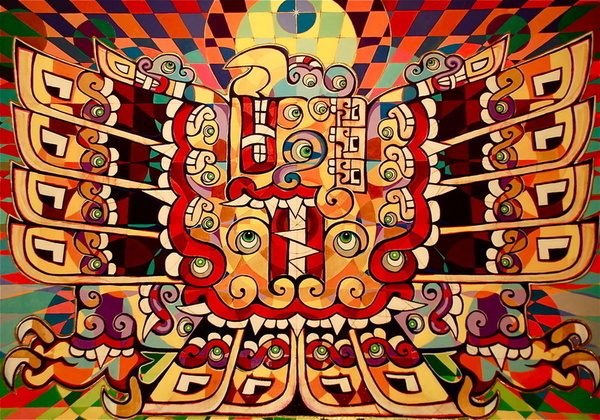 It was portrayed as such that the Shamans had divine connections therefore commanded power. Artistic impression of the worship in the Circular Plaza. 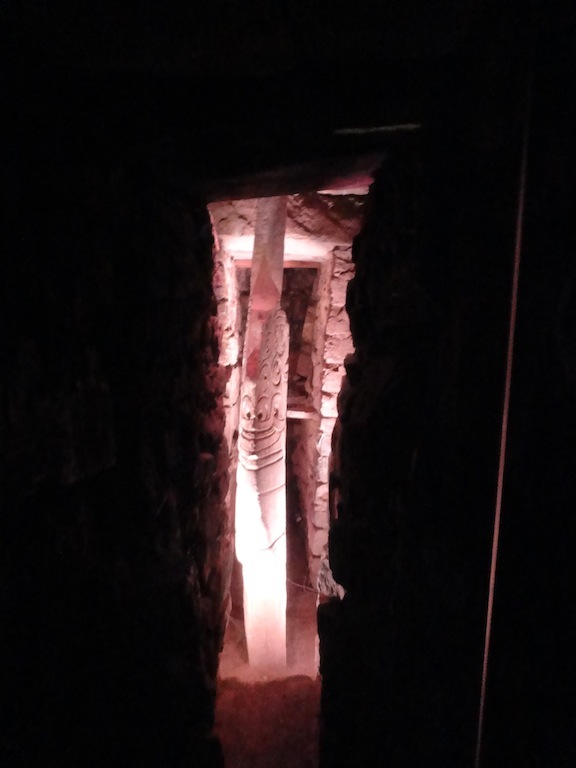 The monolithic statue of the Chavin God – Lanzon underneath the pyramid structure. In 1997, some delegates and officials of the Japanese Embassy in Lima were taken hostage by Peruvian rebels. The military had carried out a rescue operation. 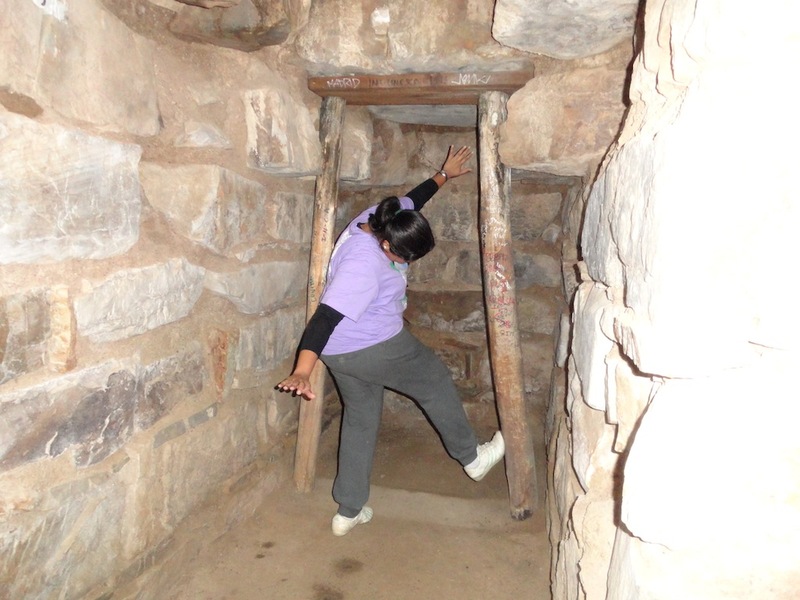 The rescue plan was devised based on the underground tunnels of the Chavin temple. The military dug tunnels and accessed the building where the hostages were held from underneath the building itself. The operation was a success. 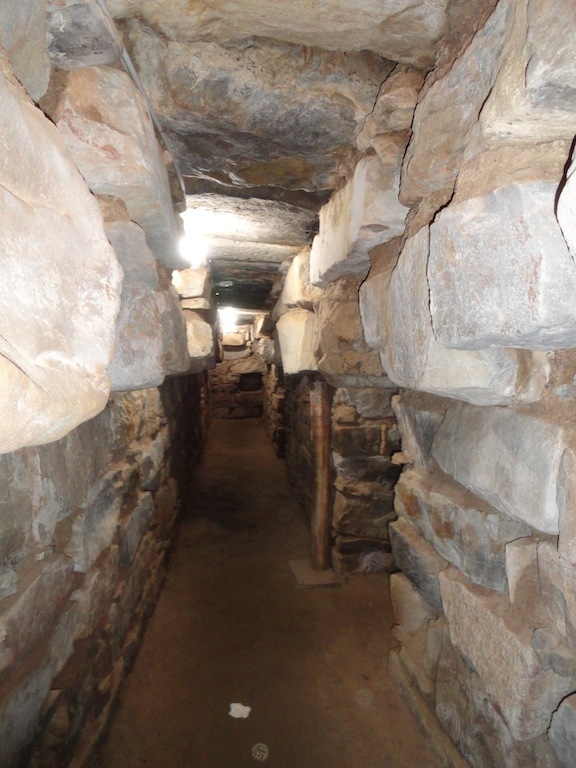 Underground tunnels under the old temple of Chavin. 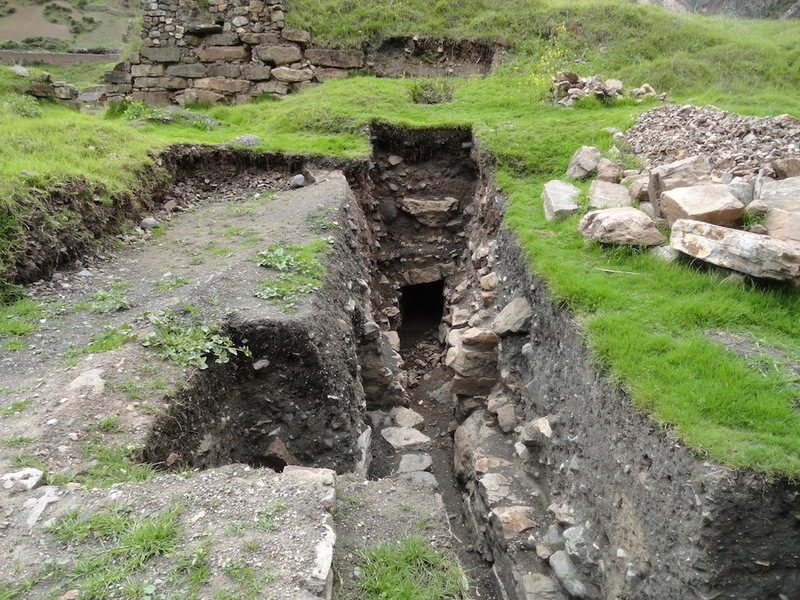 Archeological props – works under progress at Chavin de Huantar. 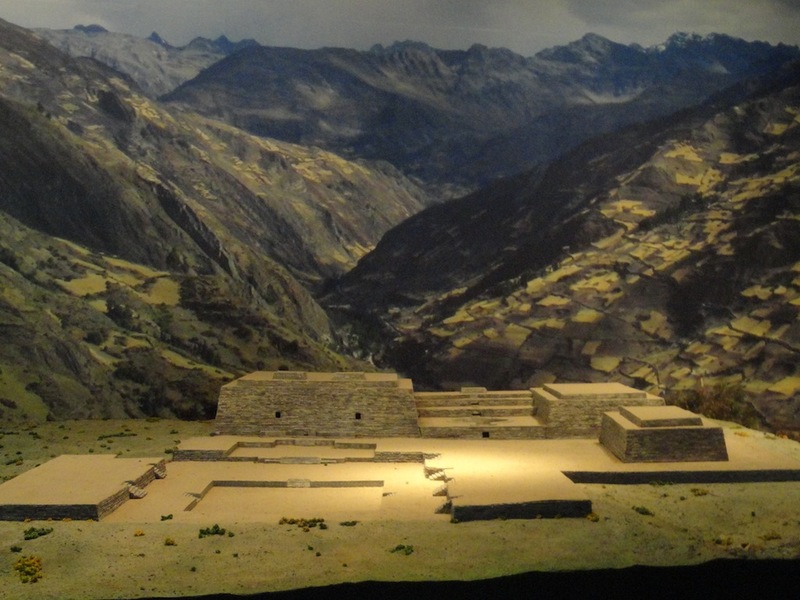 As a gesture of appreciation, The government of Japan has constructed a museum near the Chavín de Huantar site to house artifacts and Chavin arts recovered from the temple. The 3D remodel and artistic impression photos used above in the post were taken at the Japanese museum. It’s an exhausting journey to make for a 2-hour walk around a temple site especially if you’re like me and don’t handle altitudes too well. However it is so worthwhile to see part of an ancient civilization in its heritage form. There is nothing like it to describe how I felt standing there in the middle of the main plaza surrounded by the Peruvian mountains with my eyes closed and listening out to the winds. 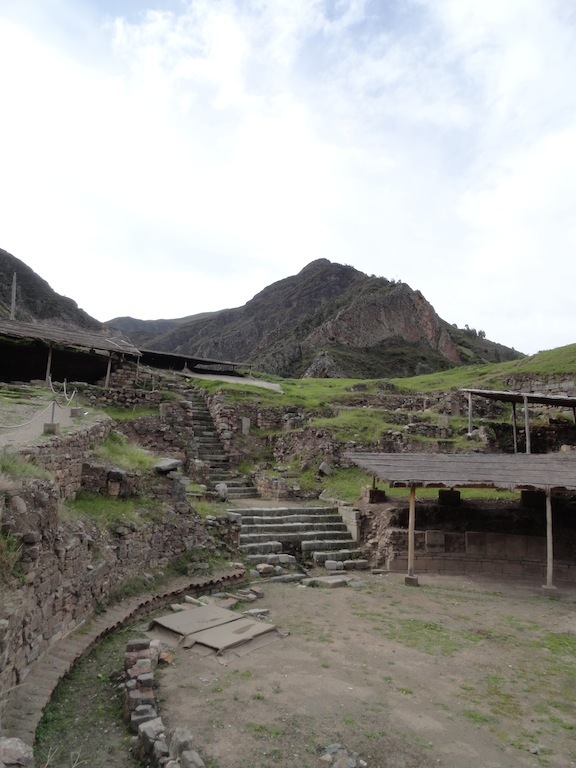 I could almost hear the drums beating, the chanting and the electrifying frenzy of a Chavin ceremony with the ancient Gods of the Andes watching over. Almost. Disclaimer: All photos used unless otherwise cited are my own. Please do not use without prior permission.